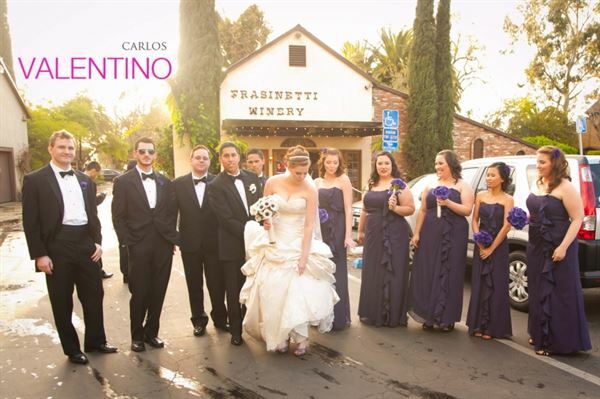 If you are looking for a romantic, unique location for your special day, may we suggest our facilities here at Frasinetti Winery. The winery is over 112 years old, with historic buildings surrounded by towering eucalyptus trees, "Old World" interiors, and an intimate deck and fountain area. We provide facilities for all facets of the wedding process; wedding shower, rehearsal dinner, wedding ceremony, and wedding reception with a complete, sumptuous food and beverage presentation in our banquet facilities.